Thrills and Skills | Camps | Kids VT - small people, big ideas! Come June, everyone will be tired of being cooped up in a classroom. But the learning doesn't have to stop just because school's out for summer. Vermont is home to dozens of specialized camps where kids can keep honing their skills — and have fun in the process. To help you plan your child's summer adventures, we picked five niche programs that illustrate the wide range of options. At these camps, kids can learn to turn flips, sail a keelboat, ride a horse, write computer programs or play Quidditch. Read on to find out how. Fantasy fans of Hogwarts School of Witchcraft and Wizardry can sign up for the next best thing. 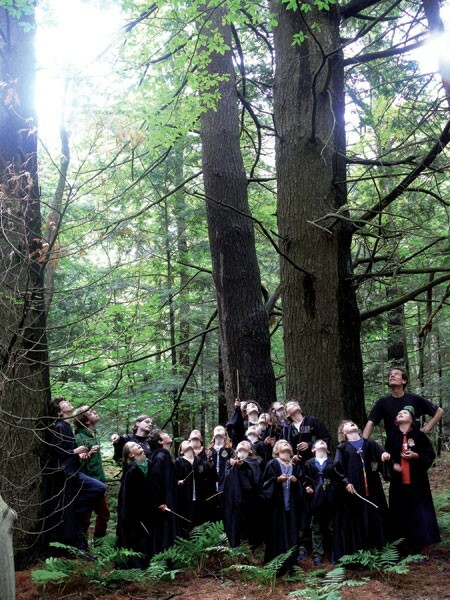 Children's-book author Alison James and her husband, Joplin, a kindergarten teacher, created their day camp after the release of the seventh and final Harry Potter book in 2007. It's a refuge for those über-creative kids who love imaginary play. The couple didn't have access to sprawling, lakeside grounds bordered by a Forbidden Forest, so they conjured an alternate reality that's literally right in their own backyard. The "lessons" at Enchantment Camp vary from session to session. Campers can study the art of communicating with wild and tame animals in "Animagic" class, or pick up a wand and chant incantations in "Spellcasting and Potions." Those who prefer their magic grounded in real-world cultural heritage can call on the power of ancient Shinto gods and goddesses in "Magic and Mystery of Ancient Japan." That week, campers paint powerful words in Japanese calligraphy with rubbed ink and brushes, create a stab-bound spellbook and learn the history behind traditional magic words and sounds. Spellcasting and lessons in potions and herbology creep into most curricula. There's a daily game of Quidditch, too. "Everything we do is for real up until the point where we don't know how to do it," Alison James explains. "We use real herbs that can actually heal during herbology and learn the Latin for the spells we might cast." All the sessions conclude with a test — James calls it "a silly exam about what you've learned about magic where you can only earn positive points" — but mastery of the curricula isn't the objective. Enchantment Camp aims to exercise kids' imaginations. "On the surface, we teach playful imaginary and practical magic," she says. "But on the underside, we're teaching a lot of soul skills to help kids get in tune with their own powers." Day camps for ages 7 and up. Weeklong sessions on different themes run from June through August at 338 Thompson Road, Shelburne. $295-585. Info, 985-1124, enchantmentcamps.com. Most Vermont kids will stand on the shores of Lake Champlain at some point and admire the view. But those whose families don't own boats have few opportunities to get out on the water — unless they get involved with the Lake Champlain Community Sailing Center. The LCCSC offers access to dinghies and keelboats — and instruction — through its suite of sailing programs. Kids as young as 6 can enroll in a half-day camp for "little guppies," or sign up for full-day sessions. Campers progress from introductory lessons to more advanced instruction. More experienced skippers might be ready for the Summer Race Program. "If somebody really wants to get into the sport of sailing, then this is definitely the gateway," says Colin Davis, operations director at LCCSC. "Beginners get a thorough introduction, and then everyone gets out there and is actively involved. The independence is a big part of the appeal — you're out there driving your own boat, and you're in charge. That's a really unique aspect for most of these kids." 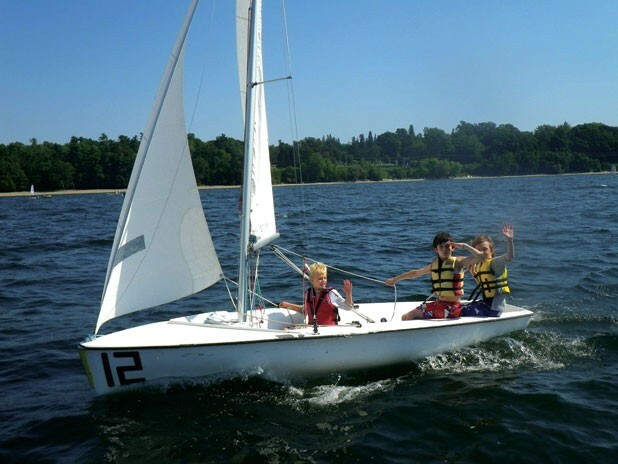 LCCSC also teams up with local organizations to run multi-activity camps for kids who want a taste of sailing without an intensive, weeklong commitment. Those campers sail in the morning, then spend their afternoons playing tennis, skateboarding, cooking, learning scuba skills, creating works of art or climbing at Petra Cliffs. The only prerequisite for any of the sailing camps: Kids must demonstrate they're comfortable in the water by completing a 50-yard swim with the aid of a personal-flotation device. Getting kids out on the water can change the way they see their lives on land, noted LCCSC executive director Kate Neubauer last August, in an episode of the web-video series "Stuck in Vermont." "It's the most amazing thing to watch a group of students come out on the water and have them ask, 'Where are we?' And you say, 'That's your home, that's your town — that's Burlington.' And in that split second, their perspectives change." Day camp for kids ages 6 to 15. Weeklong sessions run from June through August at 234 Penny Lane, Burlington. $185-650. Info, 864-2499, communitysailingcenter.org. Few kids escape childhood without falling in love with horses. A week at this Hinesburg riding camp is a good gauge of whether it's a passing phase or full-on equestrian relationship. Kids learn to brush, tack up and ride — and muck out stalls, too. Dressage trainer Jamie Fell, her daughter, Liz, and breeding specialist Joan Lavallee run this day camp at the 240-acre Fell-Vallee Equestrian Center, which also offers riding lessons, training and boarding options. With a limit of eight riders per session, the program caters to each participant's previous riding experience through group and individual attention. "Beginners and more advanced riders are generally divided into different groups according to skill level," Liz Fell says. That means that "gutsy 7-year-olds who can walk, trot and canter" might end up grouped with older, less experienced riders, rather than with others their own age. "We like to sort kids out naturally once we see them ride," she says. Fell and her team place an emphasis on equine safety and basic riding skills, but there's also time to play hide-and-seek in the hay barn or compete in games on horseback. Parents attend a final horse show on the last day, when riders play "musical hay bales" — they ride around until the music stops, then get off and back on their horses. "Everyone is encouraged to move at their own pace," Fell says. "Some of our brand-new beginners are off the lunge line and ready to trot by the end of the week, and some need a little extra encouragement to get out of the walk. Our horses really take care of those kids." —Day camp for kids ages 5 to 14, with a special camp for 5- to 7-year-olds in mid-July. 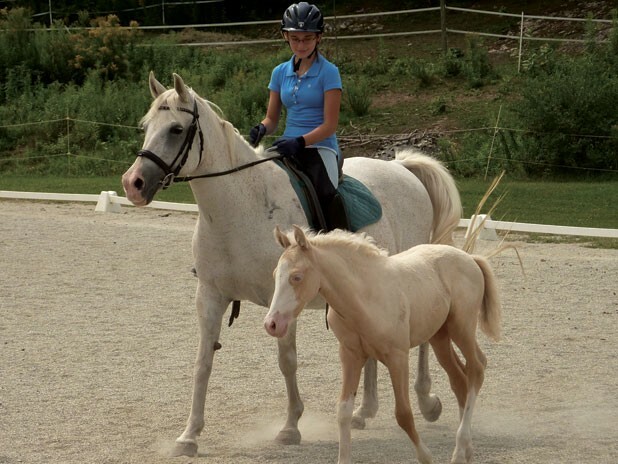 Four-day camps run from June through August at Fell-Vallee Equestrian Center, 173 Taproot Farm Lane, Hinesburg. $295. Info, 482-4393, fell-vallee.weebly.com. "It's either program or be programmed," says Thomas Bacon, a Colchester dad who's launching a new camp for aspiring computer programmers this summer. "Kids are so comfortable with computers but not many have any knowledge about what goes into those programs," he says. "We want to give them the know-how to give commands right back to the computer." Bacon is founder and CEO of Brick Oven Media, which creates interactive and entertaining ways to open a dialogue between brands and consumers. He also built a Gooroo Facebook app for 2010 Vermont gubernatorial candidate Matt Dunne. But though his background is in online media and advertising, he calls educational reform "a real obsession." That's why he's teamed up with fellow local dad Justin Siegel, cofounder and CEO of gaming company JNJ Mobile, to do his part. 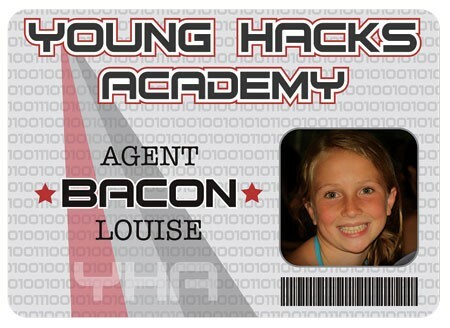 Young Hacks Academy focuses on problem solving and programming. It's set up to mimic secret-agent training: Campers go on daily "missions" to solve and crack codes. "We wanted to apply a little more context to it than just sitting in front of a computer," Bacon notes. "That tends to be pretty dry for a kid." The camp enrolls 10- to 12-year-olds; Bacon points out that's when most kids learn long division, a useful algorithmic skill for programming. Campers don't need any special training or prerequisites to participate, though. Bacon and Siegel are hoping to reach a general audience — not just the sons and daughters of computer programmers. The young hacks — or "agents," as they'll be known during the week of camp — will use a drag-and-drop visual learning environment called Scratch, specifically developed by Massachusetts Institute of Technology's Media Lab to allow beginners to program their own interactive stories and animations. An eight-to-one ratio of campers to instructors provides enough face time for kids to emerge with concrete programming skills. "Justin and I wanted to help supplement what kids are already learning in school," Bacon says. "When we give them the tools to program and give commands, we're enabling them to be adventurous and step outside the preprogrammed space." —Day camp for kids ages 10 to 12. Two separate weeklong sessions run from July 8 to 19 at Colchester High School, 131 Laker Lane. $295-345. Info, 999-7092, younghacksacademy.com. If Gabby Douglass and the Fierce Five got your little one interested in flipping, tumbling and trampoline stunts, it might be time for a session at this family-run sleepaway camp in South Hero. Its founder, the late Tom Dunkley, was a professional gymnast and coach who created the University of Vermont's first men's gymnastics team; USA Gymnastics dubbed him "the father of Vermont gymnastics." He fathered kids, too — his daughter, Ruth Dunkley McGowan, now carries on his legacy. Ruth is a coach, gymnast and a judge for the Junior Olympic Program. As a small child, she performed on a trampoline with her father and sister in front of President Eisenhower and Saudi Arabia's King Saud. She runs Dunkley's with her husband, Dan McGowan. Ruth Dunkley McGowan says her father started the summer camp because he loved coaching others. "He decided he was going to buy this old fishing camp, and turned it into a family-style summer camp in 1972," she says. Today, Dunkley's offers USAG safety-certified instruction that's custom-tailored for all skill levels. Campers practice flips outdoors on a 40-foot tumble trampoline, a 60-foot spring strip and a 30-foot tumbling mat, all situated on the shores of picturesque Lake Champlain. When it rains, everyone heads indoors to the "baby gym," which is tricked out with a spring floor and Olympic-level equipment. In the early days, recalls McGowan, the camp focused strictly on gymnastics. But that's changed over the years. "Some campers spend all day working at gymnastics," she says, "and others hit the water as soon as the morning training sessions are over." In fact, McGowan's own daughters act as waterfront directors, overseeing the kayaking, sailing, tubing and swimming that lure campers away from the mats and beams each afternoon. Woodworking, martial arts and cooking lessons also provide balance. The camp accommodates everyone from beginners to USAG Level 9 competitors. To avoid sore muscles in the first few days, McGowan recommends that kids who aren't actively training start a basic fitness routine before camp starts. —Overnight camp for girls ages 7 to 17, with a coed camp from July 21 through August 1. One-, two- or multi-week options run from June through August at 35 Kibbe Point Rd., South Hero. $700-1300. Info, 899-3479, dunkleysgymnasticscamp.com.